God has given the Canadian Convention of Southern Baptists a vision of starting 1,000 healthy, reproducing, cooperating churches by the year 2020. There are now only 200 Southern Baptist churches in the entire nation. Church planting in Manitoba — There are only two Southern Baptist churches in that province, and they are located in Winnipeg. 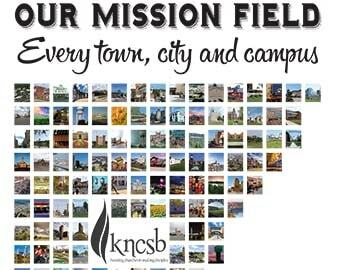 Planting churches designed to reach students — Southern Baptist campus ministries in Kansas-Nebraska will partner with student ministries in Canada. Encouragement — With only 200 Southern Baptist churches in the entire nation of Canada, the work is often lonely and discouraging. The KNCSB partnership with Canada also includes the province of Saskatchewan. 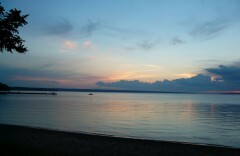 Here are some photos from Waskesiu National Park in that province. They were taken by Becky Sowers, a volunteer from Virginia who recently served in Prince Albert, Saskatchewan. The KNCSB partnership with Canada is focusing on the provinces of Manitoba and Saskatchewan, which are similar to our two states. Here are maps of the provinces. The spiritual fields are ripe for harvest in the Canadian province of Manitoba. New Life Sanctuary in Headlingley, Manitoba, (west edge of Winnipeg) is one of only two Canadian Convention of Southern Baptists churches in the province of Winnipeg. Garden Park Church in the north part of Winnipeg is the other Canadian Convention of Southern Baptists church in Manitoba. It is located in a highly ethnic neighborhood and meets in a storefront next to a restaurant that features East Indian cuisine. 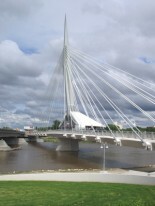 The Forks, marking the junction of the Red River and Assiniboine River, is a historic district and a major tourist attraction in downtown Winnipeg, Manitoba.